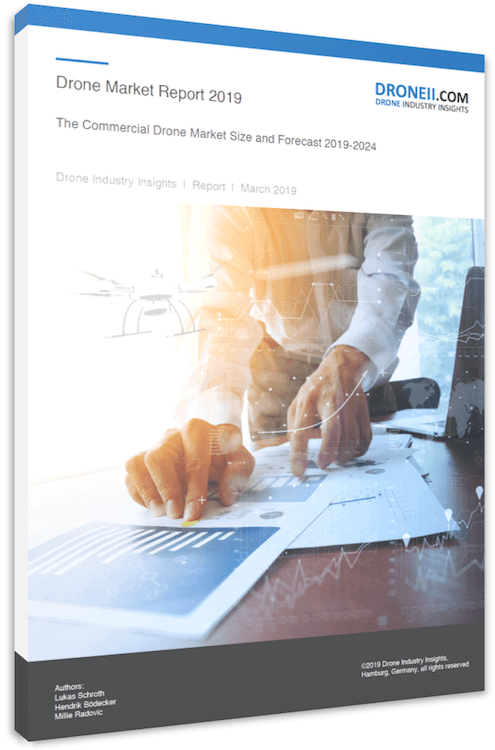 The infographic “The Drone Market Size and Forecast: 2019-2024” outlines the commercial drone market size forecast for the next five years, broken down by region. Want more details about our new Drone Market 2019 Report? Get a free sneak peek here. This infographic outlines the forecasted drone market figures for 2019-2024 broken down by region. To learn more about the latest drone market trends, read our publication. To get a free sample of our new report, take a look here. To discuss your company’s drone investment, contact us. “The Drone Market Size and Forecast: 2019-2024” is the result of months of drone investment monitoring by the DRONEII team. Our analysts conducted primary research throughout the past year to create a unique bottom-up DRONEII market model and produce these figures. It is a snippet of what can be found in our Drone Market Report 2019. Download the free infographic “The Drone Market Size and Forecast: 2019-2024” now and join our frequent newsletter service.